(Palau, Micronesia — June 20, 2013) — Known for its world-class scuba diving conditions, Palau is host to a whole range of options for adventure seekers. 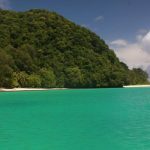 In addition to being one of Jacques Cousteau’s favorite dive destinations, this Micronesian paradise is also one of Survivor TV’s Jeff Probst’s favorite places on earth. It’s no wonder…the remote location is free of commerciality and truly a genuine eco-environment, which is not at all manufactured but a custom of this down to earth nation. As one of the “Seven Underwater Wonders of the World,” it’s only natural to start with this destination’s most popular adventure and one of Jacques Cousteau’s favorite destinations, for scuba diving. In Palau, see-through waters bequeath underwater visibility beyond anyone’s imagination. So much so that from the most immaculate shorelines in the world, a boat 50 meters beyond creates the magical illusion that it floats merely on air, with its conspicuous shadow cast on a translucent seabed a few feet beneath. A prism of colorful coral reefs and virtually limitless variety of sea life set the stage in this tropical paradise. From beginners and intermediate to expert divers, there are over 50 existing dive sites, each possessing distinct characteristics and individual personalities to appeal to everyone’s desires. Diving is year-round in Palau and during the busiest season from January to April, spectacular sights such as migratory whale sharks passing by, sharks or mantas mating, and large schools of fish spawning can be seen. Palau is strategically straddled by two extremely deep channels to the east and to the west, those of the Philippine Trench and Palau Trench. The cold nutrient-rich waters of these fathomless abysses teem with sub surface natural gifts, and the results are striking; in very few other places can such awe-inspiring underwater activity and life be witnessed with such regularity and ease. 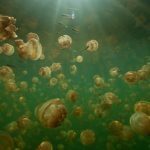 Natural preserves most can only dream of also include the daring and the unusual – like Jellyfish Lake, where two types of jellyfish can be found, namely the golden jellyfish (known as Mastigias) and the moon jellyfish (known as Aurelia). This intriguing lake departs radically from convention for it is an enclosed body of water wherein, over the course of millennia, resident jellyfish have become virtually stingless, allowing adventure seekers a rare opportunity to swim amongst these truly unique water creatures. More recently. the Jungle River Boat Cruise made its debut as one of Palau’s eco-friendly modern tours, providing visitors with an ideal way to relax and see nature firsthand. Located in Ngchesar State, the River Boat Cruise is the brainchild of Billy Takamine, taking passengers on a one hour trek that starts at the main dock and goes upstream to the ocean. During the tour, visitors get a chance to see crocodiles up close and personal as well as many indigenous birdlife and other local animals. 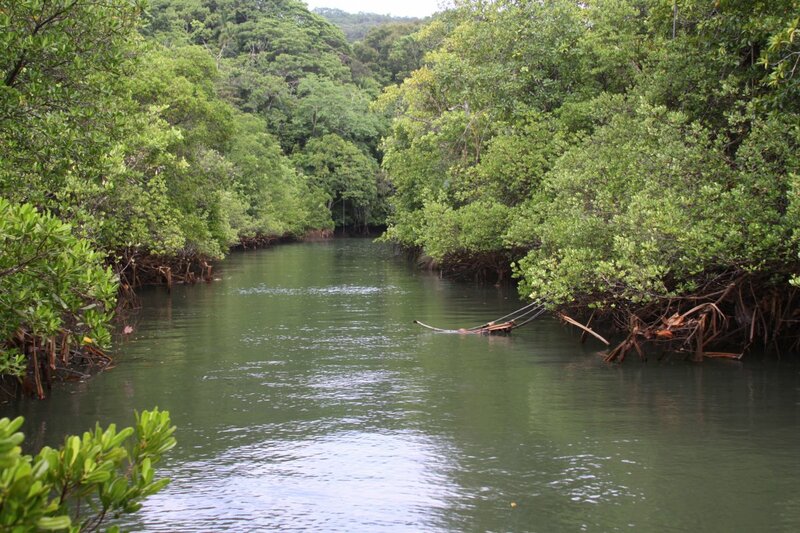 The River Boat Cruise facilities include a gift shop and two “summer houses” resembling Palauan bais’. The facilities offer barbeque set lunches with entertainment, basket weavings and a Babeldaob (capitol) tour. The focus is on guides that transport guests through the local history, culture and nature. While Palau is famous as a premier destination for underwater thrills, the destination is also home to a new sky adventure with a three-course zip-line soaring over the Taki Waterfall Park in the State of Ngardmau. 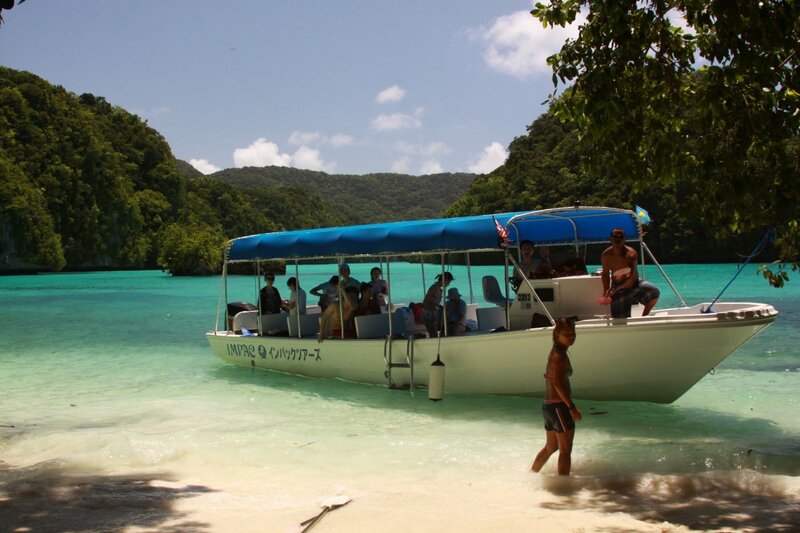 Opened two years ago, the Palau Eco Theme Park boasts a whole new brand of adventure to this Micronesian paradise. The theme park features a zip-line course that soars 250 feet above the ground, with platforms that take adrenaline seekers from 30 seconds to one minute along the length of courses that are between 300 meters and 340 meters, which is said to be one of the longest tracks in the world. A special cove the locals call the “Milky Way,” the bottom of this little bay consists not of sand but of white limestone mud, which gives the water a milky sheen. 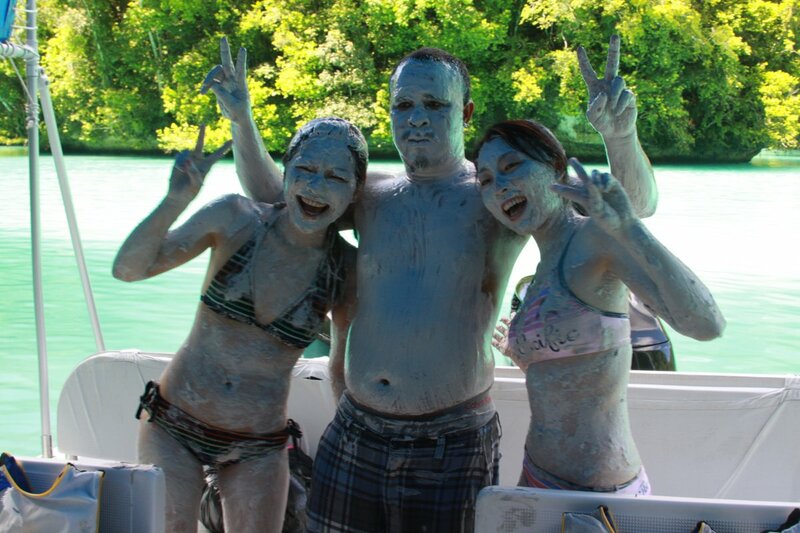 Rumored that the mysterious chalky mud makes an excellent rejuvenating facial, guides dive off before the boat is even anchored, head down to the floor of the cove and return with a huge handful of the white muck, for which they instruct their passengers to cover themselves. After soaking in the sun, while the clay dries and the minerals work their magic, it’s time to jump in, rinse off and relish in the natural body scrub that is said to garner hundreds of dollars in some of the world’s best spas. Known to many as the location for the bloodiest battles of World War II, history buffs will appreciate Peleliu’s plethora of commemorative elements. Available year-round, Palau’s World War II/Peleliu Excursion is an integral part of Palau’s truly unique history, rounding out the varied interests and attractions found within the destination’s natural “habitats.” Palau’s Peleliu Island was the scene of one of the Pacific’s bloodiest battles when U.S. Marines made an amphibious assault on the beaches of Peleliu in 1944 to liberate the island from Japanese forces. Peleliu was heavily fortified with massive concrete bunkers and over 300 man-made and reinforced natural caves used to shelter the Japanese forces during massive naval bombardments prior to the assault. Remnants of Japanese headquarters buildings, incredible cave systems, gun emplacements, tanks, planes and weapons can still be seen today. Several local tour operators provide professionally guided tours to battles sites, tanks, shrines, historical monuments and the Peleliu WWII Museum. 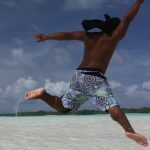 While many destinations feature amazing assets, the effect that Palau has on its inhabitants and visitors alike is profound. This enchanting land is a tropical paradise of nature’s greatest adventure gifts.